I repaired a very very simple bamboo fence today. It took forever and I am not satisfied with the result. As you can see, the nail split the bamboo in one place (there is a nail under the knot). I will repair it tomorrow. BUT I am happy I was allowed to do it (all alone) and I learned a lot. 本気の失敗には価値がある – And earnest mistake has its value. 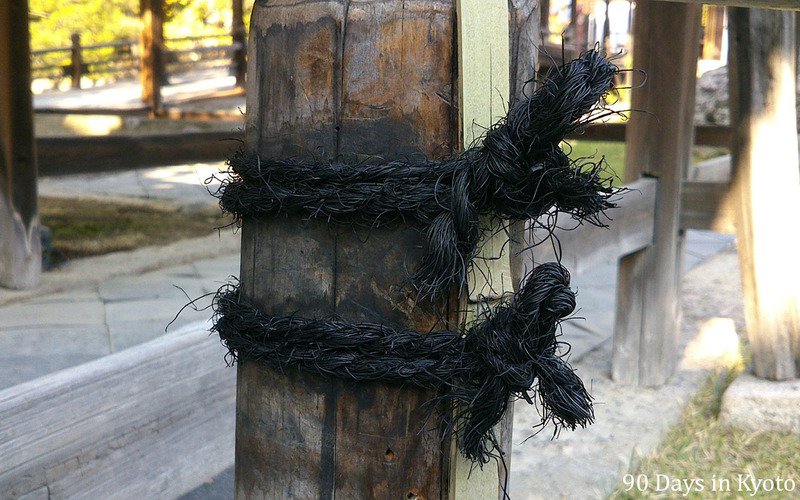 The some-nawa (染縄), the deeply dyed twine typically used for Japanese bamboo fences is first soaked in water, which makes it smooth. The twine will shrink while drying and the knot will get tighter. The deep black looks really good on fresh green bamboo or aged golden bamboo. 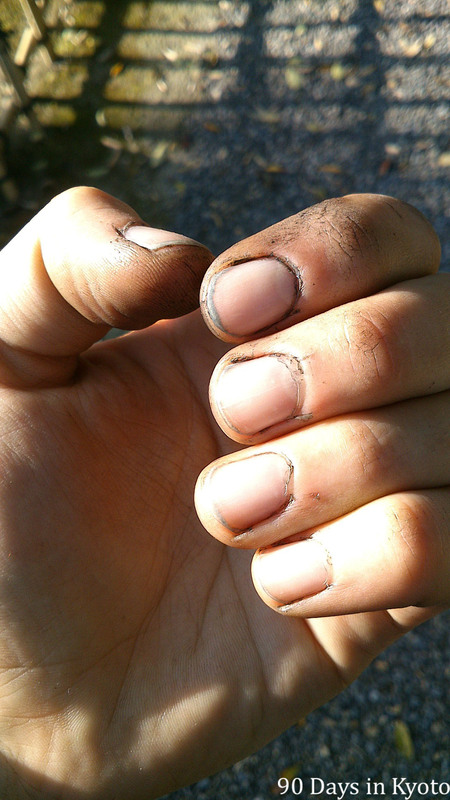 The downside it that it dyes the fingers and I could not get it off for the rest of the day -not with brushes, specialist soaps, cremes etc. And since I will be using the string tomorrow as well, I gave up for the day. 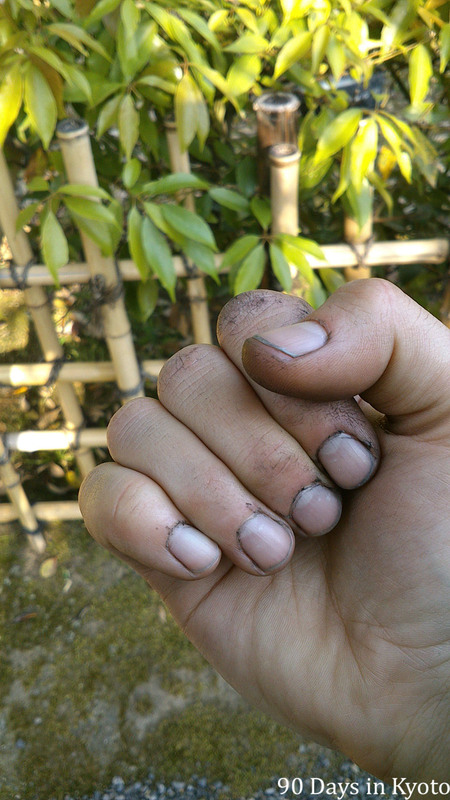 Plus, it is a nice way to show the other newbies that I was allowed to work on a real fence in real life and finally gives me the “real” Japanese gardener look.